Covering over 527 square miles, Canyonlands National Park is home to some of the must rugged and beautiful landscapes in the country. 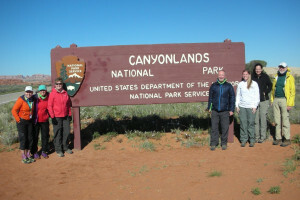 Whether your looking for biking, hiking, camping, or four-wheeling, you'll find it here in Canyonlands National Park. Covering over 527 square miles, Canyonlands National Park draws over 400,000 visitors each year. They come to experience some of the most rugged and beautiful landscapes in the country. When visiting the park, know that it’s divided into four districts: the Island in the Sky, the Needles, the Maze, and the rivers themselves. Whether you’re looking for hiking, biking, back-packing or four-wheeling, you’ll find it in Canyonlands National Park. Canyonlands is accessible by two paved entrances. Highway 313 will bring you to Island in the Sky. Highway 212 will bring you to the Needles. Canyonlands National Park is open 24 hours a day, 365 days a year. Some roads may become impassable when wet. Entrance fees are $5 for individuals and $10 for vehicles; both are good for 7 days. You can purchase a local passport that provides entrances to Arches, Canyonlands, Hovenweep and Natural Bridges for $25 dollars. The pass is good for one year. For a great introduction to the Island District’s slickrock, check out the Aztec Butte Trail. At 2 miles long with an average hike time of 1.5 hours, this is great for hikers of all ages and ability levels. This short half mile trail takes only about 45 minutes to hike, and passes through a historic cowboy camp complete with ancient pictographs. This 11 mile hike takes visitors to Druid Arch. Along the way enjoy views of the many spires and rock formations in Elephant Canyon. Approximate hike time is 5 hours. This epic multi-day ride covers more than 100-miles. 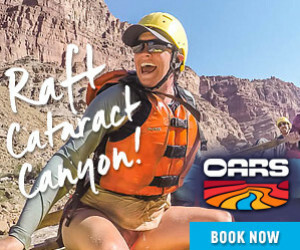 This is the perfect way to experience all that diversity of terrain found in Canyonlands. 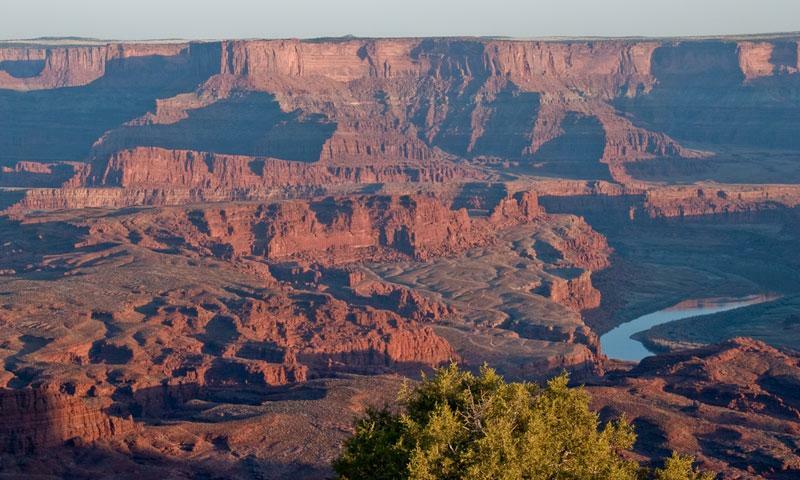 This 14 mile ride treats visitors to one of the most breathtaking overlooks of the entire Canyonlands area. Home to 26 sites available on a first-come first-served basis, the campground is an excellent base camp for popular Needles district attractions including Chesler Park and Druid Arch. Home to twelve sites available on a first-come, first-served basis, Willow Flat’s is a great base camp for popular Island in the Sky attractions such as Green River Overlook.